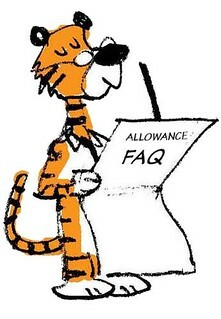 Parents always have lots of questions about allowance, so Laura dishes up some expert answers to the most common ones. Here are the questions Laura originally asked when preparing for the article along with my own take on the answers. Should you give your child an allowance? Maybe. You should definitely facilitate putting some steady income into your child’s hands so they can practice making real world money decisions under your guidance. Practice is crucial for mastering any skill, and personal finance is no exception. For really young kids with few outside job opportunities, a modest allowance is a great way to create that income opportunity. Paying for odd jobs or outside work are great options as well. Do what makes sense for your child’s age and unique situation. You can see contrasting viewpoints on allowance from Dave Ramsey, Suze Orman, Professor Lewis Mandell, Janet Bodnar, Jean Chatzky, and yours truly in this allowance debate article by Dan Kadlec of TIME. Mandell takes a pretty extreme view and is repeatedly quoted with the provocative line: “A regular unconditional allowance may be akin to cruelty to children.” For a direct debate between Lewis and I on that topic, listen to this Minnesota public radio interview: Experts differ on the best way to handle kids’ allowances. What age should children begin receiving an allowance? Kids should start learning to manage money — whether from allowance or otherwise — as soon as they start asking you for things at the check-out stand. They need to understand that money is a finite resource that must be thoughtfully managed. The sooner they start learning that, the better. How much should they receive? The answer to that question is another question which is: what are your kids expected to purchase with their income? Craft your allowance amount around those expectations. It’s akin to making a very simple budget and ensuring that the budget is tight enough to force some frugal behavior. For a more detailed answer geared towards teenage kids, see this earlier post. Also, see this related post that characterizes allowance as a “very tiny piece of the family budget to manage.” And finally, check out this post by Scary Mommy — one of the best posts on allowance I’ve ever read: The $100 Allowance. Should you give your child a prepaid debit card? Yes. A prepaid card is a great warm-up to a checking account and eventually a credit card. Plus, there’s no risk of getting into debt. Kids need to learn about all forms of money — not just cash. That’s especially true now that electronic payment is becoming the norm. The best prepaid card offerings feature very low fees and lots of parent oversight. Looking for a list of several offerings to compare? See here. Looking for specifics on FamZoo’s unique offering which is specifically designed to help parents teach kids good money habits? Go here. How does your child spend their money? How do they save it? It varies with age. Little treats like candy and gum as well as app and online game purchases are typical for the pre-teen. Pizza and movie type stuff dominates for the teens — especially when dating kicks in. All the kids save by automatically splitting a percentage out of their weekly allowance and placing it in separate “Bank of Dad” savings accounts where I pay them a super aggressive weekly compound interest rate to encourage the habit. We split a percentage out for charitable giving as well. Do you pay an allowance in exchange for chores? Is this a good idea? Sort of. We pay a regular weekly allowance, but we deduct from the allowance amount when expected chores are not completed by checking items off our “chore fail chart”. We like this approach because it’s low maintenance (assuming they don’t constantly blow off their chores! ), and it reinforces responsibility and accountability. Are allowances appropriate for teens or young adults? Allowances are appropriate for anyone who is still semi-dependent upon their parents for legitimate reasons. In this case, an allowance is tantamount to a well-defined budget that formalizes the dependency to keep it transparent and under control. That’s far preferable to parents just handing over money to dependent teens and young adults in an ad hoc way. The goal, of course, is to drive that allowance down to zero over time. To see how my responses above compare to the expert responses in Laura’s article, click here. 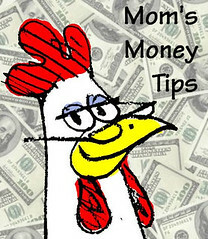 What’s Your Father or Mother’s Favorite Money Advice? Chance favors people who are prepared and have plans. If you do not have a plan for your time and money, others will. If you can manage a penny, chances are you can manage a dime or a dollar. It is not about needs. It is about wants. Those are some pearls right there. Read about Sam’s dad and his money mentoring here. 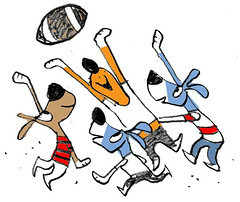 Are you paying exorbitant travel sports costs for your kids? Is that impeding your efforts to save for their college expenses? If so, Pete asserts that you’re effectively saddling your kids with future student loan debt. Provocative. Read Pete’s argument here. We’re constantly scouring the Internet looking for articles related to family finances and teaching kids good personal finance habits. You can visit our ever growing list of family finance bookmarks here. We’re up to 3,343 now! I just checked and 27.7% of our mobile traffic is currently Android - second to iPhone at 71.9%. So a solid share of our families are using the mobile screens on Android. I personally use FamZoo on my Android phone every day via a bookmark on my home screen. Functionally, there's no difference from the iPhone app. The one drawback is for those with parental controls who want to limit access to just a FamZoo app and not allow access to a mobile browser. For that reason (and marketing purposes), we still have the Android app on our ToDo list.